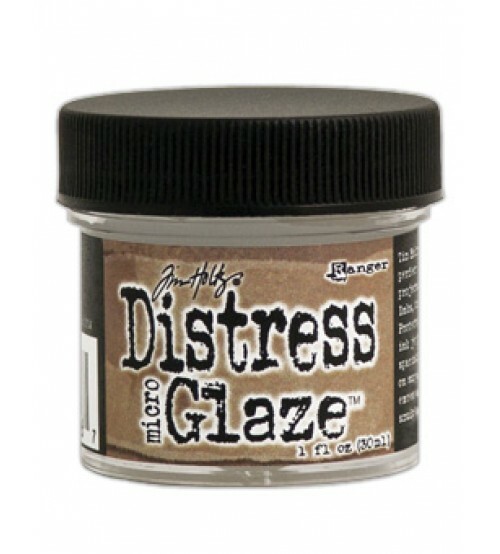 The new Tim Holtz Distress Micro Glaze is the perfect water resistant sealer for craft projects. Ideal for sealing Distress Ink, Markers, Stain, Paint & more. Easy to apply, Micro Glaze dries to a smudge resistant,waterproof finish. This package contains one 1oz jar of Distress Micro Glaze. Non-toxic.